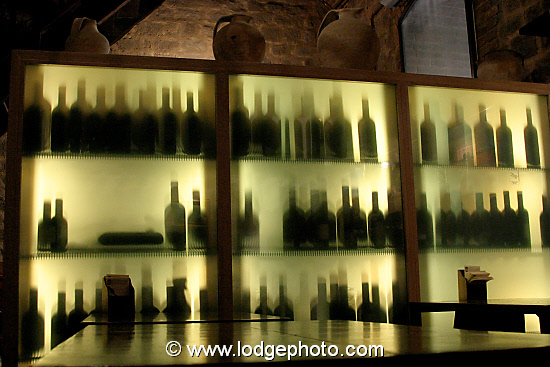 Home » economics » What is Chianti Classico wine? A trip to Tuscany inevitably means a glass of red Chianti Classico for most visitors. But what makes this wine special? The original boundaries were laid down in 1716 by Cosimo III di Medici, Grand Duke of Tuscany, and covered the Tuscan villages of Castellina, Gaiole and Radda. In 1932, Chianti was vastly expanded to cover seven different regions of which the original area was just one. Today, the area is roughly 100 square miles. There are also rules on the grape content that have changed over the years. Since the 1990s, Chianti Classico has to contain at least 75% Sangiovese grapes, a maximum of 10% Canaiolo, at most 6% white wine grapes and up to 15% Cabernet, Merlot or Syrah. The definition is controlled by the DOCG, the Denominazione di Origine Controllata e Garantita. In the past 40 years or so, Chianti’s reputation has gone from “low-grade red” to a region producing some world-class wines. In the 1970s-90s, it was common to see low-grade Chianti in its traditional straw bottle jacket or fiasco. In 1971, the Antinori family broke with tradition in releasing a “Chianti-style” blend of Sangiovese and Cabernet called Tignanello. It didn’t fit the DOCG definition, which disallowed Cabernet and required at least 10% white wine grapes, so it wasn’t officially Chianti Classico. But Tignanello began to win awards and acclaim, prices rose and other producers followed. Thus the “Super Tuscan” wines were born. The success of Super Tuscans led the DOCG to change the rules of grape composition in the 1990s, allowing many Super Tuscans to be reclassified as Chianti Classico. Chianti Classico is what the French would call an appellation: an area where the grapes are grown within a strict geographical boundary. Contrast this with a Napa wine, for example, which is more of a brand. Napa wines might be made within the boundaries of Napa County, but the grapes or grape juice could have been trucked in from the central Californian coast (as they are for Charles Shaw, AKA “2 Buck Chuck”).